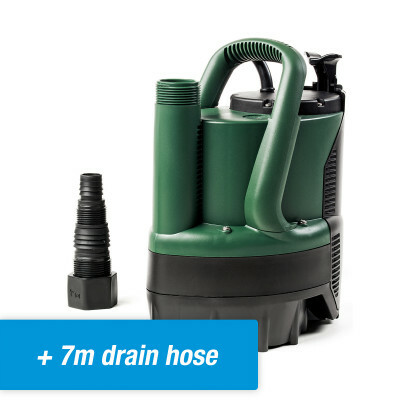 A submersible utility pump (also referred to as a puddle sucker pump) is a pump that can drain greater amounts of water than regular submersible pumps. 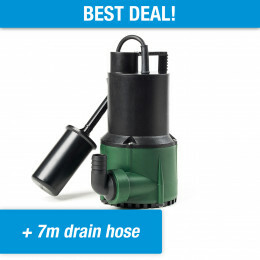 These pumps have the ability to pump drainwater closer to the ground. However, it is important to note that submersible utility pumps are often intended for clean water only. 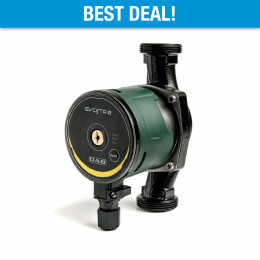 In other words, rainwater or tap water can be easily drained with these pumps. Generally speaking, submersible utility pumps are fairly durable, as long as the suspended solids in the water are not too large or contain too much sand. 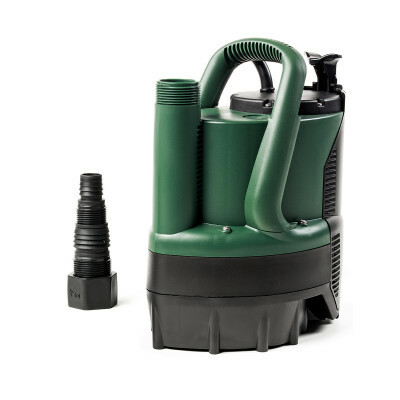 The submersible utility pump or puddle sucker pump is often a smaller kind of pump that can help you eliminate almost any water nuisances. 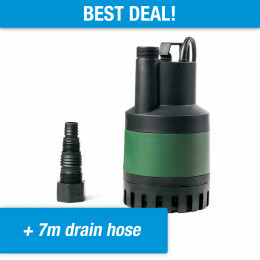 Some submersible utility and puddle sucker pumps can even continue draining up to a 0-1 mm distance from the ground. In most situations, these pumps are deployed in combination with heavier pumps. The heavier pump does most of the drainage work in advance. 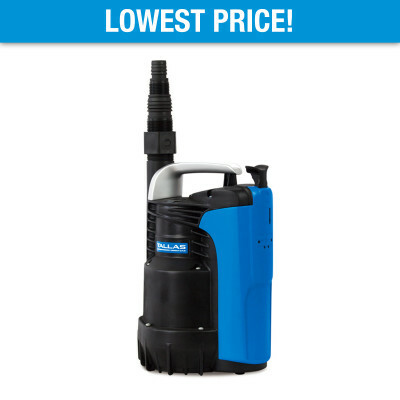 Subsequently, the submersible utility pump is used to drain away the rest of the water. Submersible utility pumps are most often used in cellars and souterrains. They are ideally suited because these spaces are most often affected by rising groundwater and quickly flood during wet weather. Because these spaces often contain washing machines and/or other equipment, it is very important to keep these spaces dry. The submersible utility pump is the best solution for this! 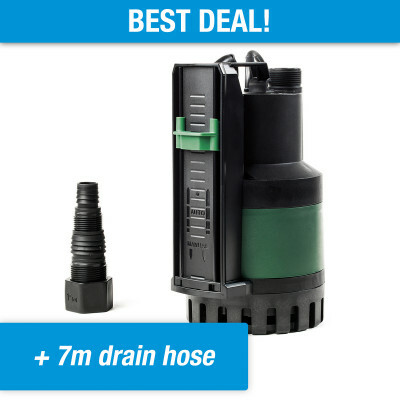 People often think a submersible utility pump / puddle sucker pump with float switch is the best solution for flooded spaces. Of course, this is true in most cases, but one must take into account that submersible utility pumps can only be used manually. A submersible utility pump usually includes two settings. Manual and Automatic. The name of the pump often includes a letter that indicates what type of pump it is: M (= Manual), A (= Automatic) or NA (Non-Automatic). A water pump may never run dry for longer than a couple of minutes. 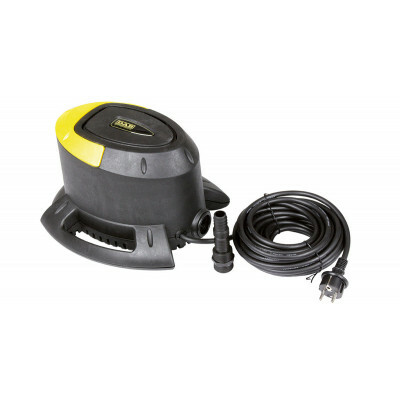 A submersible utility pump cools itself with the water it pumps. When the pump runs dry, it may overheat and cause irreparable damage. For this reason, a submersible utility pump must always be set to manual mode in the event of dry suction. However, it is important to turn the pump off at the right time to prevent dry-running. 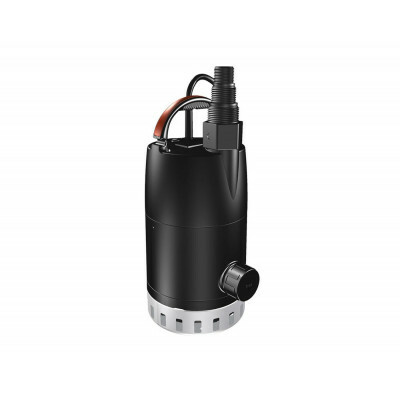 In automatic mode, the submersible utility pump will activate at a water level of about 11 cm and deactivate at a level of about 4 cm. When you intend to drain more water, you can do this by switching to manual mode and drain the remaining water. 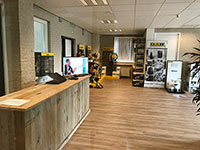 At Waterpompshop.nl we have assembled the ideal range of submersible utility pumps. 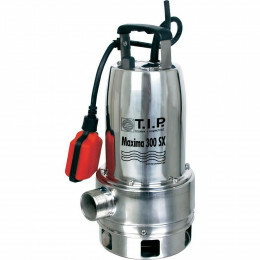 For example, we offer pumps that can be set to both manual and automatic operation, but also exclusively manual pumps, with the aim to dry areas completely when necessary. We have even the smallest solutions, which can drain up to a water level of just 0-1 mm! Should you be interested in more information about these pumps or have difficulty choosing the right pump, please feel free to contact us. We are available by telephone and via email.